Synopsis: While doing temp work, Tess Camillo and a pregnant friend visit the Lightning Field, an earthworks art piece in the New Mexico desert. 400 lightning rods + 6 visitors + 1 bun in the oven = a mystery that will zap you with suspense and bolts of laughter! 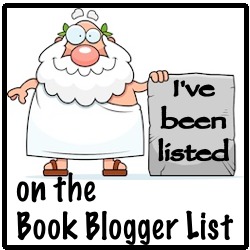 Review: I wasn't overly fond of the last two Tess Camillo books but maybe I just wasn't in the right frame of mind. I found this one to be fun and witty, not as witty as Layce Gardners books but witty none the less. Tess just turned 50 is not thrilled with being single again, afraid to have her roommate leave and just sort of fumbling along after battling breast cancer and being attacked by a crazed lunatic. She takes a temp job in New Mexico and travels with a friend to an earth art show in the dessert. 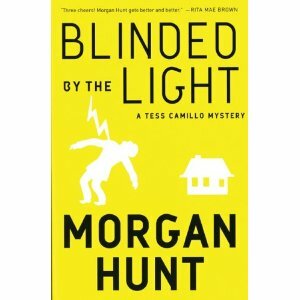 When one of the other visitors is found dead in the lightening field Tess sticks her nose into the investigation to help out a friend. Its not so much the action or even the mystery that kept me reading it was more the observations and witty remarks that Tess makes that made me keep reading. If you are looking for a quick witty mindless beach read this would be a good series to pick up.